The Turquoise Reference Edition of the King James Bible was created in the 1920s and has stood as a superb and well-loved example of classic Cambridge typographic design for over ninety years. The large format allows the text to be presented in a comfortably readable form using a bold, traditional typeface with cross-references. For this edition, the concordance has been freshly typeset, and the Bible includes the Translators’ Preface, their compelling account of the principles underlying the publication of the KJV in 1611. Oh-boy! My Canterbury is king in my easy chair (along with my brick, 1st ed)…. but the readability and portability of this absolutely stunning bible is hard to ignore! And just like my full sized Canterbury, I cannot find a flaw! The corner work on my cover is better than all of my other bibles (going to get the brown so when I gift this one, I’ll still have one). The paper is the best I’ve seen at this thinness. It appears to be better than my PSC & PSQ. I owned a special edition of the Turquoise from another company – gave it away because of poor paper and smudging print. It is apparent to me that it is becoming very hard to beat the quality of a Cambridge bible. So now I will rotate the Turquoise with the Canterbury for my KJV selection. Received my Turquoise in the mail today. A truly worthwhile investment, right on the same level as RL Allan Longprimer. This Bible is truly a work of art. If you are thinking about this one, it is time to go for it. The red letter edition says it all for me. I have a calfskin Turquoise red letter I purchased back in 1997. I use the red letters as a visual reference to help me quickly find specific passages in the gospels. I paid $108 in 1997 for my calfskin Bible and filled its pages with hand written notes. It has been falling apart for the past few years and I have been looking for another, but did not realize it was out of print until now. 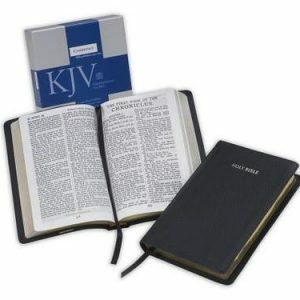 I have bought over a half dozen new Bibles (black letter) trying to find this same Bible but to no avail until now. 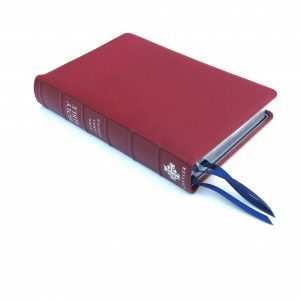 This Bible has the perfect dimensions, perfect font and print size, and it is red letter goatskin. 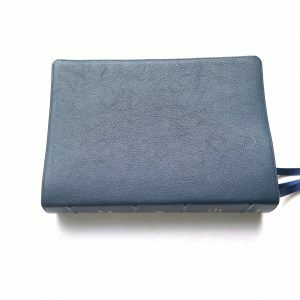 Everything I wanted to replace my old calfskin. Now I have to transpose my notes from the old Bible to the new. A labor of love for sure. 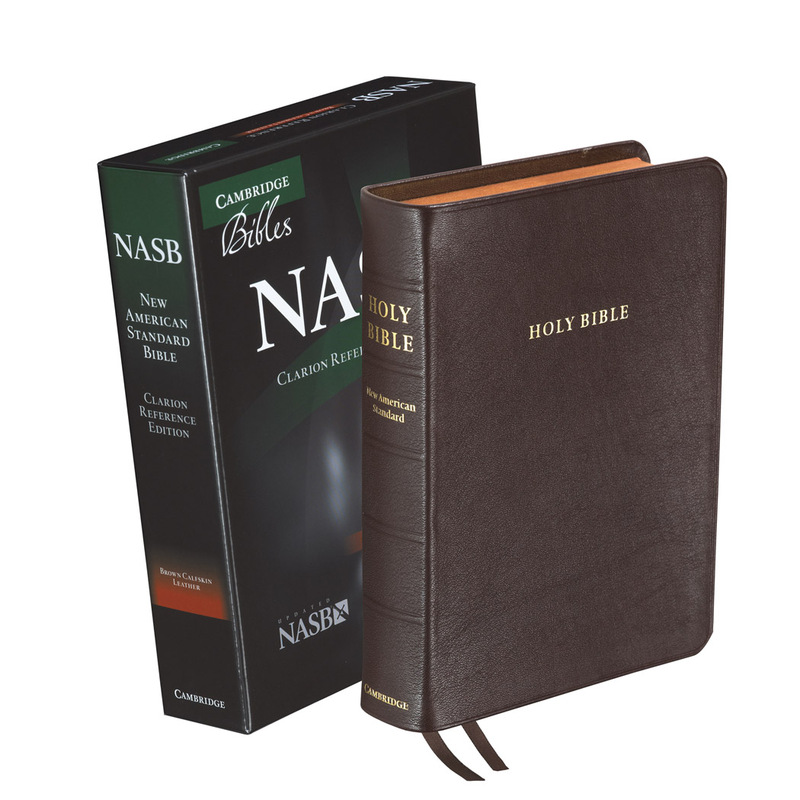 I went with the black goatskin because I didn’t want a flashy bible. The blue and brown exclusives look amazing though. I think the main difference with the exclusives is the darker art gilt. Cambridge really knocked it out of the ballpark with the reintroduction of their old Turquoise bible. At first I thought the 28 gsm paper would be an issue, but it’s really opaque and bleedthrough is virtually non existent with the added line matching. This is by far the most readable bible I have ever seen. It’s slightly more readable than the longprimer. The cambridge red letter as always is a nice and dark brick red that is easy on the eyes. The print is very crisp and bold. Not sure what the typesetting is but it looks slightly modern with a hint of a vintage feel. The spacing per line is perfect. Cambridge left out the glossary on this one but the concordance is nice. The new maps in the back are printed on thick and semi glossy paper. I really like the old Cambridge maps but these newer ones are nice too. 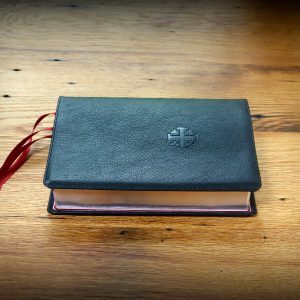 What makes this Cambridge bible different from all their other goatskin bibles is that this one is edge lined with calfskin and has two really nice ribbons. Normally Cambridge lacks in the ribbon department but delivered the good with this one. 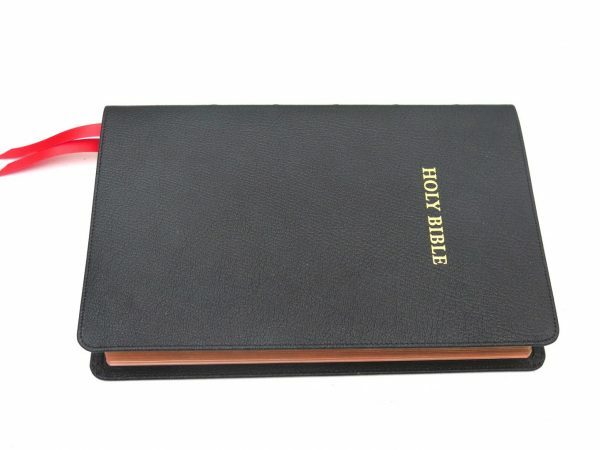 Head and tail band are red and gold and set the whole bible off and gives it a more distinguished look. 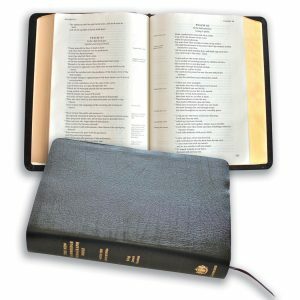 The size of this bible is tall and more narrow which is nice because you can read with one hand without losing your grip. All in all I would recommend this bible if your looking for readability and style. Cambridge also has a calfsplit version which is the exact same text block just without all the bells and whistles of the goatskin counterpart. I think a lot of us got a little too excited when we heard that Cambridge was bringing back the turquoise bible. Now if they’d get on top of printing more cameos they would have two classics to choose between. Nice Bible, but the red and black ink is either too dark or too faded in many places throughout the gospels. I know printing, and I know nothing is ever perfect, but from the prepublication reviews I expected better. I’m sure the printer didn’t send out review copies of this Bible with this sort of imperfection. They let the press run until it looked perfect and then sent those copies out. We did the same at a newspaper I once worked at. The owner of the paper always got the best copy, which came off the press during the middle of the run. 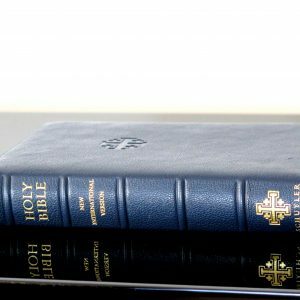 When the big publication run of this Bible went to press it seems the printer sent everything out, no matter what it looked like. I’m disappointed. Quality control should have been better. If they publish a black letter version of this Bible I will purchase a copy, hoping it will be better. Buyer beware. If Evangelical Bible has a better looking copy they wish to send me I will gladly take one. I received my black Cambridge Turquoise in the mail recently. 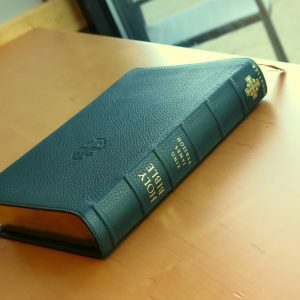 Great looking Bible,great print,and very readable. This is my first Cambridge,as I have always bought Schuyler and Allan Bibles, but am very well pleased with this KJV edition. And as always,great service and shipping from Evangelical Bible. This is tied with my red 62 Longprimer Sovereign as my favorite bible of all time. Definitely has lived up to the hype. It is even easier to read than my Longprimer but I still enjoy them the same amount for different reasons. 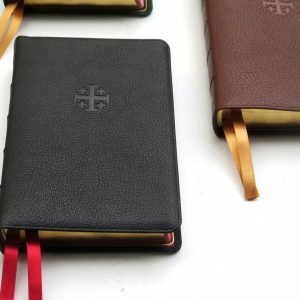 FYI the only difference between the black turquoise and the brown and blue evangelicalbible.com exclusives is that the black has the standard Cambridge light colored art gilding, which is actually the more traditional style of art gilding. 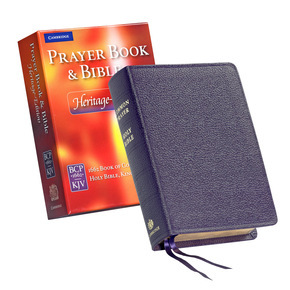 I seen a few reviews of this Bible and I found myself really wanting it. I finally ordered it and I think I checked the tracking every hour! Lol. Seriously, as soon as I unboxed it, the smell of leather filled the car! 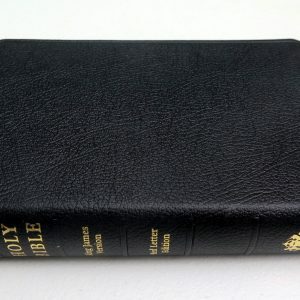 This is one amazingly built quality Bible! Beautiful in every way! The Goatskin is very soft but durable, the leather liner is superb, and the edge-line done very well. 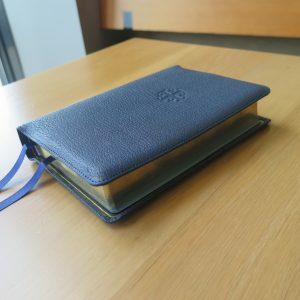 The raised hubs really makes this Bible stand out. The stitching is very tight with perfect folds for the corners. The art gilt (red under gold) really sets it apart. Of course the Bible text itself being the Turquoise is very readable with nice bold black and red ink. This Bible will be used until I’m with Christ!